"In death there are no accidents, no coincidences, no mishaps, and no escapes." As the new millennium began, the once-formidable horror genre was in a bit of an awkward transitional phase. 1999's The Blair Witch Project signaled a seismic shift in horror, the ripples of which we still feel nearly two decades later. The old guard saw the writing on the wall. Neither Freddy nor Jason had appeared in a film in over half a decade, and 2000's Scream 3 signaled the last panicked gasps of the once white-hot late-'90s teen horror movement. 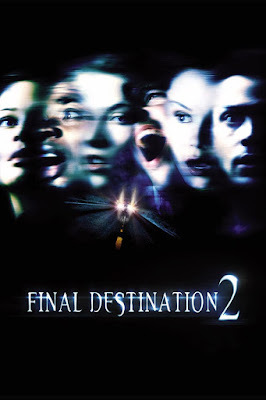 Released in March 2000, the original Final Destination could have easily faded into kitschy obscurity like so many of its peers. (Have you watched Urban Legends lately?) Instead, a funny thing happened: it actually managed to launch a mildly successful franchise, releasing four more films in 11 years. While none were massive box office hits, thanks to a strong and consistent premise that wisely turned the franchise into more of an anthology than a true serial, the films hold up to Halloween binges as well as even the big franchises do. 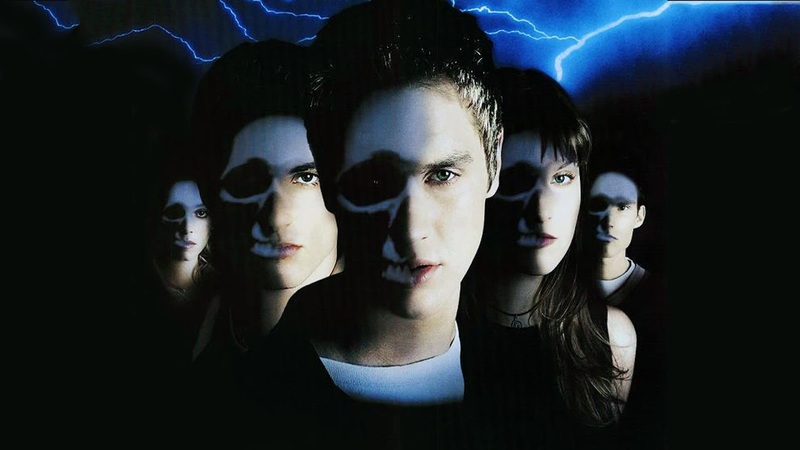 The original Final Destination is clearly horror clearinghouse New Line Cinema's attempt to grab one last quick buck in the twilight of the teen horror craze. And while it checked all of the expected boxes with its fresh-off-the-WB cast and sludgy rock score, it had that special something that made it stand out among its peers: a killer premise. 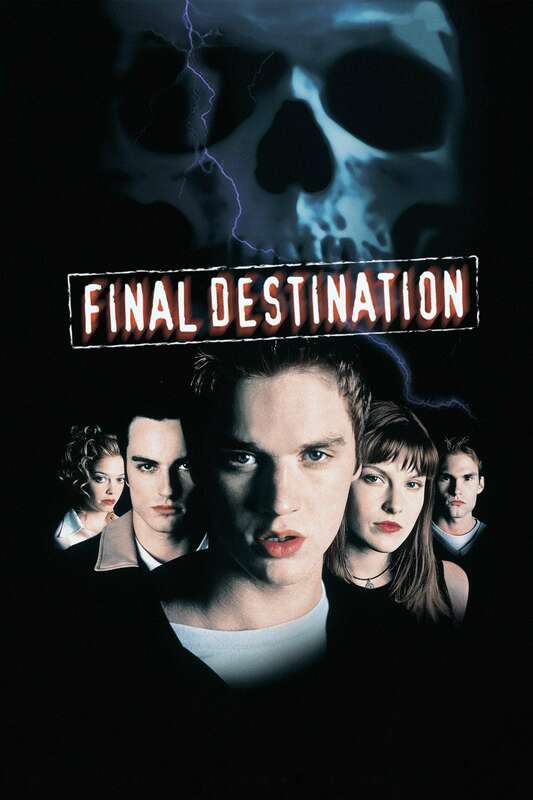 As would become the tradition of the series, Final Destination opens wickedly strong, killing off an entire senior class in one of the most harrowing plane disasters ever committed to film. But then comes the reveal: this is all the premonition of head doe-eyed teen Alex Browning (Devon Sawa), who quickly exits the ill-fated plane with a few of his less skeptical peers. As the plane goes up in the predicted fireball without them on board, we begin to see the machinations of the larger, more sinister forces at work. Death, it would appear, is not a particularly big fan of being cheated, and will make damn sure to get it right the second time around. And with that, writer-director James Wong has effortlessly crafted the simple but strong premise that sustains the series: Death comes for us all. Who needs a guy hacking horny teens in the woods when your big baddie can be an unstoppable supernatural force? Still, a full series rewatch makes one wish that this film would have had the foresight to not take itself as deathly seriously as it does, a decision which dates this film just slightly compared to its sequels. 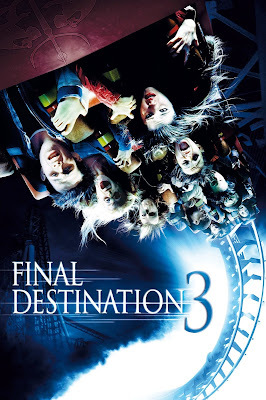 But you have to start somewhere, and while the tone of the series will eventually shift a bit, Final Destination provides a strong foundation for this terrifying universe. The original Final Destination may not have broken any box office records, but there's something to be said for earning back more than double your budget. When your premise is this strong, a sequel is a no-brainer. There's an expectation of upping the ante with a sequel, which Final Destination 2's magnificent opening scene does spectacularly. Widely (and correctly) regarded as the series' best opening scene, the freeway disaster that launches this is massive, brutal, and unforgettable, making a generation terrified to drive behind a truck hauling logs. It's a shame the same can't be said for the rest of the sequel, which always seems to be trying way too hard to one-up the original on all counts. Too much focus is put on seeking out loopholes in Death's grand design, resulting in a few convenient but puzzling last-minute rule changes that turn being chased by the spectre of death into a convoluted game of Calvinball. The inclusion of Ali Larter's character from the original, Clear Rivers (hands up if you had any idea while watching the original that her name wasn't Claire--hands down, liars), feels shoehorned in, as if the filmmakers (David R. Ellis replaces Wong for the sequel) felt the film needed a stronger connection to the first. Some of the individual death scenes may still be pretty fun to watch, but the stuff in between is a huge, messy step down from the first, causing it to not have aged as well as one might expect. After a mildly disappointing second outing, Final Destination 3 delivers the goods. James Wong returns and takes it back to basics, dropping the problematic loopholes from the second film and just remembering why these movies are so much fun. An entirely new cast of attractive but doomed young people, led by a young Mary Elizabeth Winstead, nearly meets their maker on a poorly maintained roller coaster, only to get picked off one by one in their own Rube Goldberg-ian death scenarios. You always know what you're getting with a Final Destination movie; the plots, such as they are, are so nearly identical that after a marathon watch of the series any viewer will struggle to remember which elaborate death corresponds with which of the movies. But it's the deaths that keep us coming back, and with its perfect balance of camp and brutality, Final Destination 3 features some of the series' best. It may have taken three films to truly get the formula right, but like the pigeons in the film's hardware store sequence, Final Destination 3 nails it. David R. Ellis returns for The Final Destination, presumably at the time the closing chapter of our story. Watching the film it's no wonder a decision was made to go back to that particular well one last time. Though the speedway crash that opens the film is just fine, the rest of the film feels like the uninspired retread that it is. 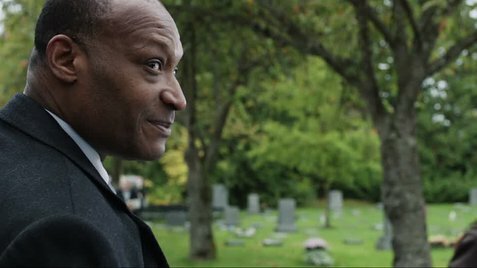 It's so low-rent that even Candyman's Tony Todd, playing series staple/vehicle of exposition Bludworth, couldn't even be bothered to show up. The whole affair just feels lazy, from its uncharismatic young cast to its forgettable death scenes (the greatest sin a film of this series can commit). The Final Destination was part of the 3D revival in its pre-Avatar infancy, and it shows, throwing things at you just because it can, with digital 3D gimmicks on par with 1983's laughably bad Jaws 3D. 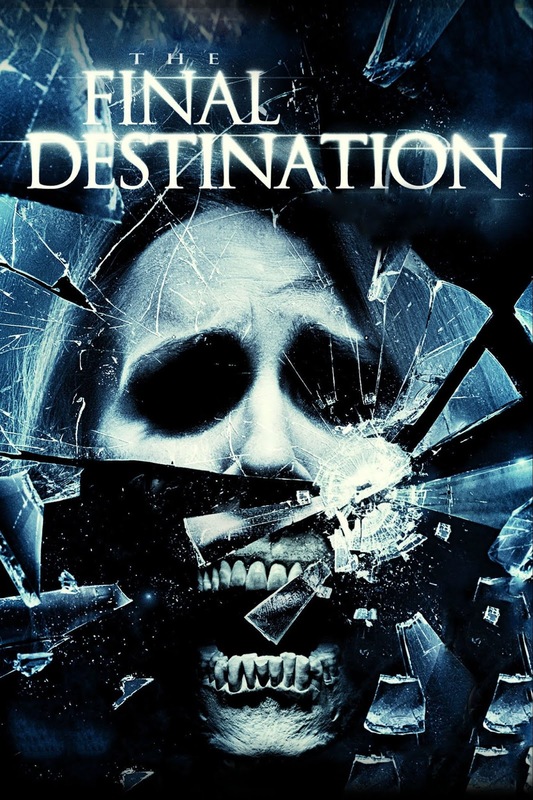 In a series as wildly inconsistent as the Final Destination films are, The Final Destination is its most consistent, which in this case is far from a good thing. If you're binging the series, this is when you nap, or skip entirely. If Final Destination 3 is the series' Fast Five, then Final Destination 5 is its Furious 7. For those less familiar with macho car heist movies, this is the one that remembers what you loved about the best of the earlier entries and gives it to you in spades. Final Destination 5 amps up the crazy just enough to be the perfect amount of ridiculous, providing if not a wholly original experience then at least a wildly entertaining one. (And, like Furious 7, a convincing argument could be made that it is the series' best.) 5 nearly rights all of the wrongs of the previous film, creating the most palpable emotional stakes of the series since the original, to the point where you actually kind of don't want to see these characters die. The all-important death scenes are among the series' best, including the spectacular opening sequence set on a collapsing bridge. Even the perfected 3D effects are vastly improved, still gimmicky but fitting far more naturally into the film's world. Final Destination 5 is an upgrade in all possible ways, providing definitive and clever closure of the series as a whole. The Final Destination series may not be the most dynamic of the horror franchises, but it is among the most consistently entertaining. It has stood the test of time, surviving rapidly changing horror trends and a fickle core audience that constantly grows increasingly difficult to please. Though it's unlikely that we'll see more chapters to this particular story, with such a flexible premise it wouldn't be impossible to imagine. As it stands we have a horror franchise that instead of diminishing returns, manages to learn from its mistakes and for the most part improve on its predecessors, giving us a tight, solid series that holds up as well on rewatches as well as it shocked and surprised us on our first. Final Destination may not be a first ballot Hall of Fame horror franchise, but it can at least comfortably settle for being one of the unsung greats.